Lunch Fri-Sun noon-2pm; dinner daily from 6pm. 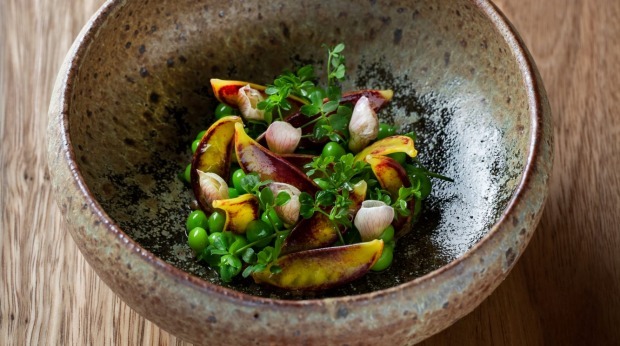 Sydney has a brand new, high-end luxury restaurant, called Quay. Yes, it has the same name as the old, three-hatted harbourside restaurant, the one that recently closed for four months and $4 million worth of future-proofing. But it's not the same restaurant. The changes to Quay include fewer tables, ever more stupendous views of The Bridge and The House, and a clever re-imagining of the split-level space, divvying it up into pockets of dining separated by sleek, serpentine dividers. Tables are unclothed, the Adam Goodrum chairs are the height of relaxed luxury, and there is an openness and lightness from the moment you walk in that just sings. It all feels so Sydney; so glossy and strong; young, confident and open; alive to possibilities, deals and assignations. 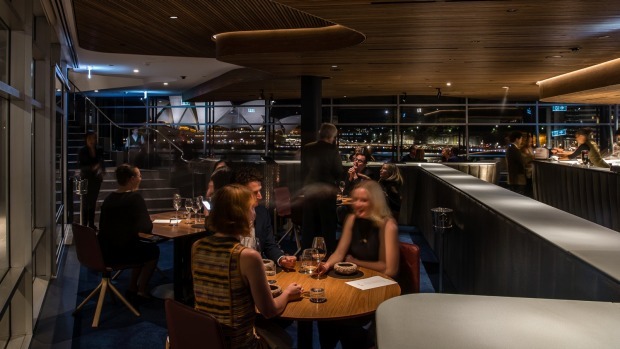 Chef Peter Gilmore has ramped up the luxe factor by chucking the old a la carte menu into the harbour. In its place are six- and 10-course set menus of newly created dishes served on newly created dishes from some of Australia's most talented ceramicists. It begins, as so many good meals do, with an oyster – or rather, a smooth, rich oyster cream with a crisp oyster crackling made from the oyster frill, and dollops of oscietra caviar, dished up in an exquisite ceramic oyster shell. Gilmore's food connects you back, to oceans, gardens, farms. A still-life composition of rare red speckled snow peas and pea tendrils touched with green soybean miso butter and freeze-dried fish sauce is like grazing your way through the vegetable garden, picking off the tiniest and sweetest. Next, you're stranded by high tide at the edge of a rockpool, using titanium black chefs' tweezers to group hand-harvested seafood onto a metallic spoon. Rottnest Island scallop, baby Coffin Bay octopus, hand-raked Eyre Peninsula vongole, fermented Northern Territory lotus seeds and Queensland palm hearts wallow in a rich, salty, oily tidal brine of fermented seaweed, brown rice vinegar and virgin soy. Dishes come, dishes go, in a three-hour sequence micro-managed by young and attentive staff. A shimmering uni chawan mushi custard striped with Tasmanian sea urchin lands with a little jug of seafood broth and a lid of salted egg, fish maw, bottarga and salmon roe to add. 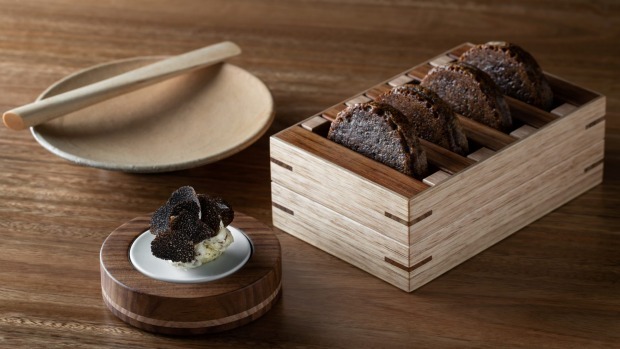 Toasty-brown malted barley crumpets perch in a wooden toast rack alongside truffle butter covered with butterfly wings of Braidwood's exemplary Terra Preta truffles. By now, it all seems effortless, as does the high-character wine matching from head sommelier Shanteh Wong. Sand crab, Japanese tennouji turnip, kombu, squid and a sweet, earthy leaf of Wakefield cabbage come together as if grown together. There's a thrill in store for those who are familiar with Gilmore's ever-evolving pig jowl. 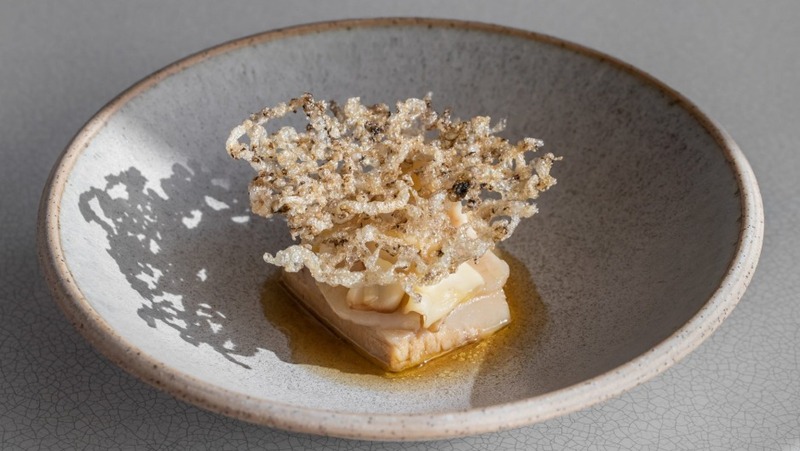 Here, it is smoked and paired with an unusual fan shell razor clam, shiitake, and the most extraordinary, mind-blowing sea cucumber crackling, as if it's the most natural thing in the world. There's no snow egg – we've all moved on, and you should, too. 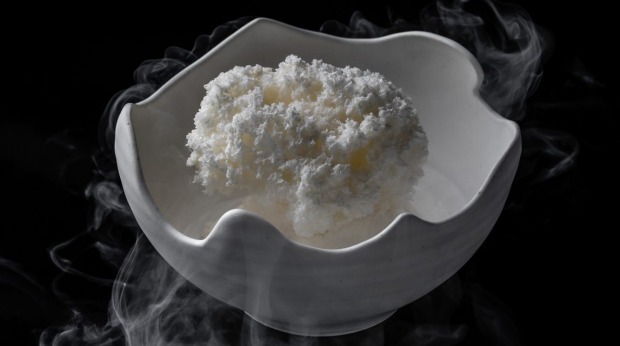 Instead, there's a fragile and otherworldly "white coral" of aerated and freeze-dried white chocolate ganache, crowning feijoa ice-cream and coconut cream. This has been Gilmore's dream, to immerse his diners in an interactive experience in which texture, harmony and the rare and beautiful co-exist. Welcome to Quay. No, not that one. This one. Cost: $210 for six-course menu, $275pp for 10-course menu; plus wines. Six-course menu available Sun-Thu dinner and Fri-Sun lunch (not Fri-Sat dinner). Drinks: Matched wine pairings (six course $125, 10 course $175), "temperance pairings", and an overly millennial wine-free "round of drinks" are backed by a dynamic 500-strong list. Vegetarian: Never an issue with a chef of this imagination. Full six- and 10-course vegetarian options available. Go-to dish: Smoked pig jowl, fan shell razor clam, shiitake, sea cucumber crackling. Pro tip: Booking for 10? Sydney's newest private dining room has the best views in town.